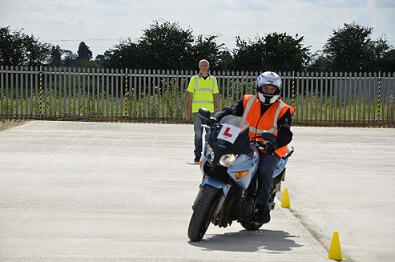 Focus Rider Training is a Driver and Vehicle Standards Agency approved CBT and full test motorcycle training company based in Bury, Lancashire. 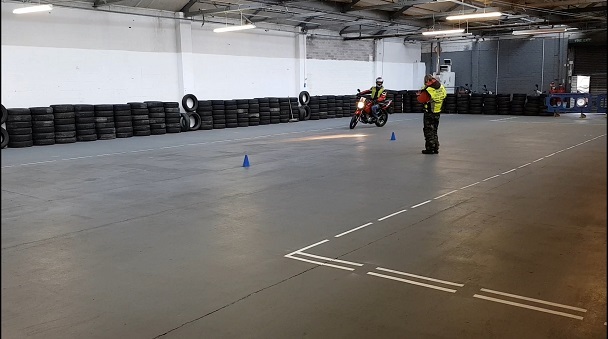 We are one of the country's best rider training schools with the facility to be able to train our students for the new practical test at our dedicated, high specification training school. 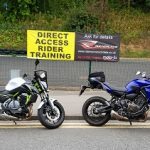 Offering the very best in motorbike lessons and training, instruction and courses can be booked to fit in with your work commitments seven days a week. we provide all new motorbikes, mopeds, helmets, gloves and all equipment you need to make learning to ride an exceptional experience. By investing in your safety and in equipment and facilities that will help you pass first time. Our training is to the highest standard possible. You cannot find a better service or a more friendly group of dedicated instructors. We only use instructors approved to the highest standard by the (DVSA) Driver and Vehicle Standards Agency. Our instructors have many years of experience and pride themselves on their exemplary pass rate. Fed up with bikes that are too big, clothing that is the wrong shape, facilities that leave a lot to be desired, patronising instructors? WE CAN HELP!!!
" 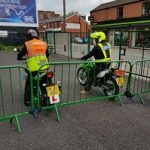 would strongly recommend Focus rider training to anyone, great people with all the patience and skills to get even the most nervous of trainees through their test. 100% satisfied with all aspects of training, Thank you." " Nice and easy, no problems, no hassle, made it a pleasure, thanks ." 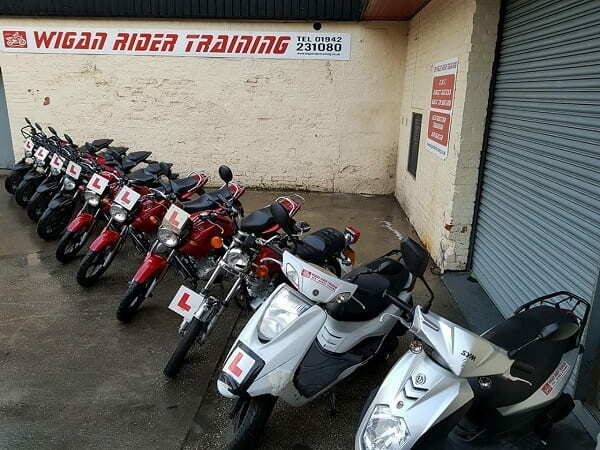 "Great day, fantastic tutor, Thank you very much, looking forward to some great bike rides now i have my CBT." 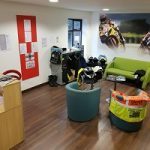 "Great training, felt at ease and comfortable, would highly recommend Focus Lady biker training!" "Very friendly staff made to feel very comfortable, would highly recommend. Paul is a fantastic teacher. " "Great course, delivered by knowledgeable and friendly staff. Safety conscious but lots of fun. Thanks. " "This was not my first CBT and I felt so comfortable and the staff are just out to help you to the best they can which makes life a lot easier. Thank you all it was amazing!" 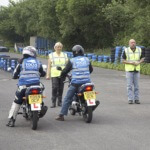 Focus lady biker for ladies who want one to one with a female DAS qualified instructor, for CBT/ A2 and DAS. Good riding ... is no accident! How much experience can Wigan Rider Training offer? Hi Andrew Simpson here - director of Wigan Rider Training. I started riding at 16 years old. From the moment that 49cc moped moved forward I was hooked on riding. Since then I have accumulated a wealth of experience and have been riding for 16 years. I have clocked up over 250,000 miles and have loved every mile! I suppose you could say I’m getting the hang of it now and would enjoy the opportunity of passing on what I’ve learnt to you. 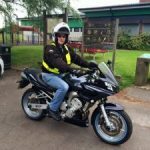 I can tailor your course from a very basic level to a very high level – the aim is always to achieve your successful completion of the CBT or riding test. The theory and classroom lessons will be lively with presentations, video and question and answer sessions to help you along. I can guarantee I will make your course interesting and challenging – it really is more than a job to me. Extra information and advice is on tap – you can talk about bikes with me all day. We are very proud of our bike fleet – currently all registered 2015 and maintained to very high standards. We take no chances with safety – regular servicing and routine daily/weekly checks and maintenance are second nature to our Company.
" The new Indoor area is great, it makes all the difference learning in the dry and warmth for the first few times on the bike. Anyone wanting to do any bike training, look no further!!" " These guys are 10* not 5*! !Thank you so much to Andy, Richard and Steve for the fantastic training I received whilst completing a two and half day DAS course." "Support was excellent and managed to get me through a 2.5 day DAS passing both tests first time.Would recommend!" "Great training. Great facilities. completed my cbt. Instructor (rich) was really knowledgeable and patient "
"Richard and Malcom got rid of all my bad habits from 30 years ago, these guys know their stuff, highly recommended. " "Great place to learn how to ride, good instructors. I'll be going back in the future to learn the clutch and do my A2 license. " "Absolute awesome set of guys thanks for getting me though my test." Come down and take a look at everything we have to offer before you decide – we’re always happy to have a chat and a brew.